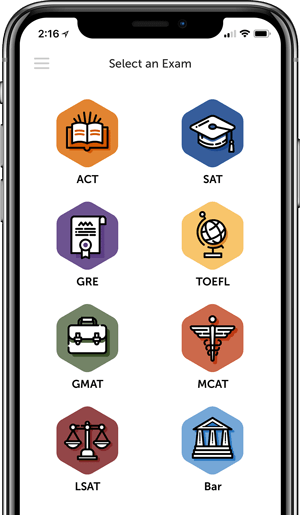 Exam Proctor by TestMax gives you the ability to simulate an authentic exam day experience for eight of the most popular standardized exams: SAT, ACT, LSAT, GRE, GMAT, MCAT, Bar Exam and TOEFL. Practice with testing conditions with a true to the exam experience complete with instructions and ambient noise. Easy to use interface that allows you to select, customize, and start practicing your exam within seconds. Reorder or remove sections to create your own custom exam experience. Skip or repeat exam sections. Scan through audio to repeat or fast forward exam instructions. Recreate the exact timing for an entire exam or just one specific section. By consistently practicing these sections over and over again under real exam conditions, you can easily and conveniently optimize your score with Exam Proctor. Download from the iOS App Store today.